Each ‘little movie’, starring well-known models from film, fashion and dance, shows the characters at significant crossroads in their lives. The result is 40 beautiful and cinematic images taken on location in Miami and New York all on the theme of ‘Dreaming’. The photographs, for the 46th edition of the iconic Calendar, were shot in colour and black and white using the cinematic 16:9 format, inspired by Albert Watson’s passion for the art of film. Watson said the basic idea behind the whole project was that of telling a story in four ‘little movies’. “What I wanted to convey were the characters’ hopes and their way of thinking about the future, in a way that would bring with it the aspect of dreaming,” he said. 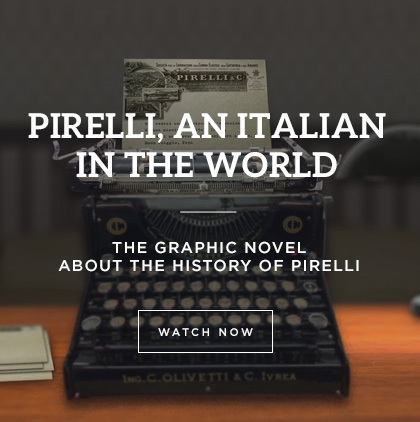 The 2019 Pirelli Calendar is released on December 5 featuring actress Julia Garner as “the botanical photographer”, Astrid Eika as the “model”, actress and model Laetitia Casta as “the painter”, professional dancer Sergei Polunin as the “painter’s partner”, ballet star Misty Copeland as “the dancer”, professional dancer Calvin Royal III as the “dancer’s partner”, model Gigi Hadid as “the wealthy socialite” and Alexander Wang as the “confidant”.